The Bahamas is known for its clear blue water. It also is known for its assortment of lovely beaches that are many a sunbathers’ paradise. Aside from these, the great regional music, and the wonderful people, it also has the greatest number of private islands in the Bahamas that make very lovely holiday resorts; the picturesque kind that look a lot more like they are meant for postcards. Some of these private tropical islands are either leased out or owned by major cruise lines. The majority of these exquisite islands owned or leased out are in the Bahamas with a few others spread over the tropical islands of the Caribbean. Little San Salvador Island, popularly known as Half Moon Cay, is one such private island; it is owned by Holland America Line which is a subsidiary of Carnival Corp., therefore it is visited by Carnival ships as well. Half Moon Cay, which is arguably one of the best private islands in the Bahamas, rests some 100 miles southeast of the capital, Nassau. It probably is one of the few places where you can combine snorkeling, jet skiing, scuba diving, deep sea fishing, and parasailing all in one outing. Disney exclusively owns Castaway Cay, and this property near Great Abaco Island is one of the most popular private islands in the Bahamas. 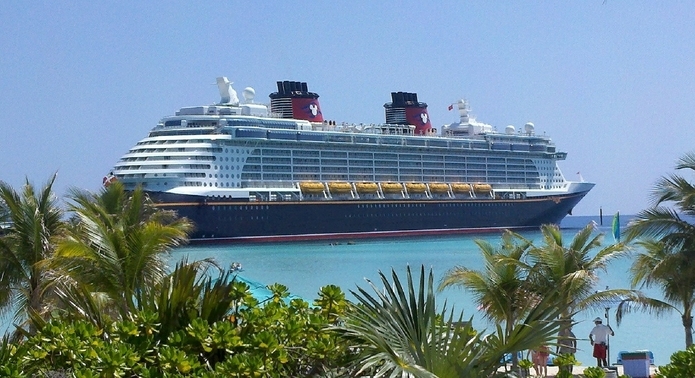 Disney Cruise Line managed to secure a 99-year lease for the island. This arrangement allows the cruise line to manage every aspect of entertainment on this private island including guest experience. CocoCay formerly called the Little Stirrup Cay and located just north of Nassau, is another private island getaway. This isle that makes up the Berry Islands is owned by Royal Caribbean International. Guests who chance on this pretty island while cruising can snorkel, parasail, scuba dive, swim, try their hands on a kayak, as well as wave run. Great Stirrup Cay is another beautiful place that made the cut to be considered one of the private islands in the Bahamas. It does lie adjacent to Coco Cay and is part of Berry Islands as well. In 1977, the island changed hands from an oil company to Norwegian Cruise Line and thus its status as a port of call was established. The northern edge of this island has a wonderful beach with rocky outcrops and an equally amazing snorkeling area. Making part of the island of Eleuthera is another eye-catching resort called Princess Cays. As its name suggests, Princess Cruises owns this property. Princess Cays has some of the best banana and paddle boating locations in the Bahamas. Visitors can also snorkel, swim, parasail, as well as enjoy games on the beaches. Labadee on the Haitian North Coast is another port of call worth mentioning. It is different from the others as it is a peninsula that forms part of the larger Haiti. It is fenced off and tourists aren’t allowed out of the property. This private resort is leased out to the Royal Caribbean International. Some of the possible fun things to do in Labadee include watersports and a rollercoaster ride. Guests can also wander into the Haitian Flea Market as well as the sandy beaches.